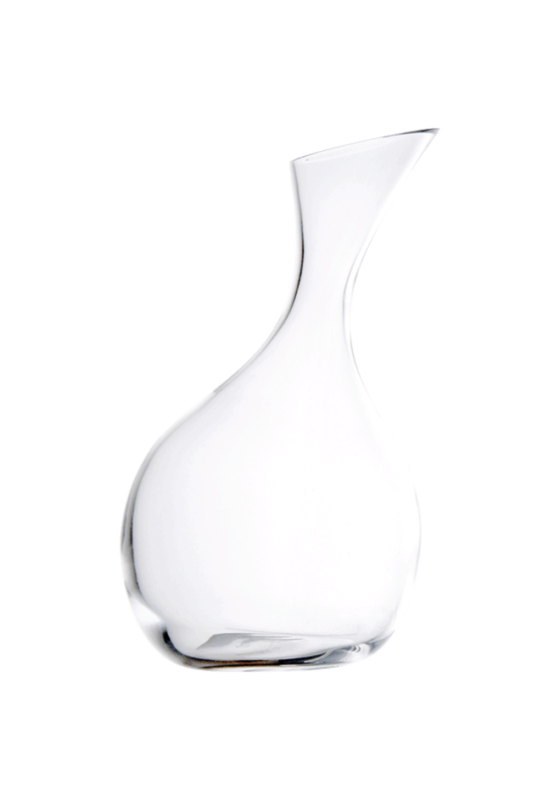 Its wide and momentous curves facilitate both the flowing of the wine and the use of it during meal. Ample for a 75 cl bottle or 50 oz. Mouth blown crystalline glass. Made in Europe.